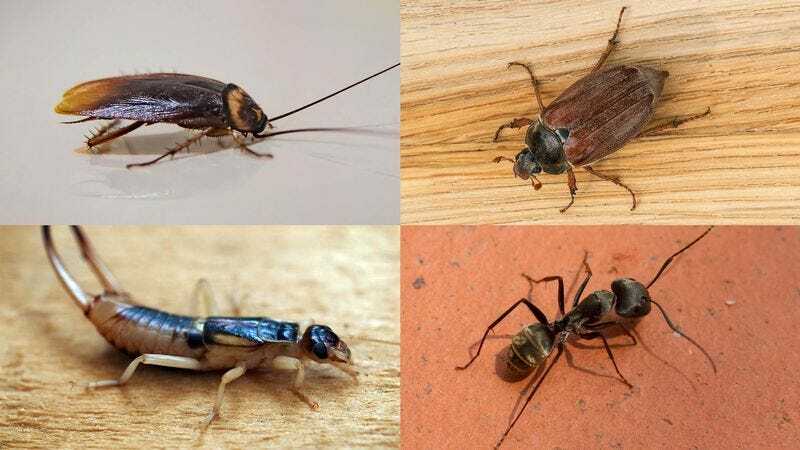 ATHENS, GA—Enumerating the variety of health benefits that result from the practice, a study released Tuesday by the Department of Entomology at the University of Georgia recommends all insects spend at least 30 minutes skittering per day. “We followed a small sample population of 2.3 million insects and found that skittering for just half an hour a day significantly strengthened the thorax and boosted circulation to the legs, wings, and antennae,” said researcher Calista Leon, who added that if 30 minutes was too much exertion for out-of-shape or infirm bugs, even simply scuttling from along the baseboard to under the oven whenever the lights come on had been proven to increase lifespan by as much as two or three weeks. “It is especially recommended for older insects, as skittering on a regular basis can help improve foregut, midgut, and hindgut function and lowers the risk of developing degenerative compound eye disease. Also, we strongly recommend stretching all six legs before starting and urge insects not to overexert themselves by darting straight up a wall if they haven’t done it in a while.” Leon reminded insects that the best long-term health results could be achieved by combining 30 minutes of skittering each day with a high-protein diet of skin flakes.